Record Store Day 2016 is coming next month and we have a surprise rumor! This year can bring up TWO, yes two releases: Linkin Park and Fort Minor! As soon as we'll get any confirmation we'll post more info along with the prices! Now available on vinyl for the first time, the album is numbered and very limited. Pressed on translucent red with black splatter vinyl, it also includes the 2008 Milton Keynes National Bowl live show on DVD. 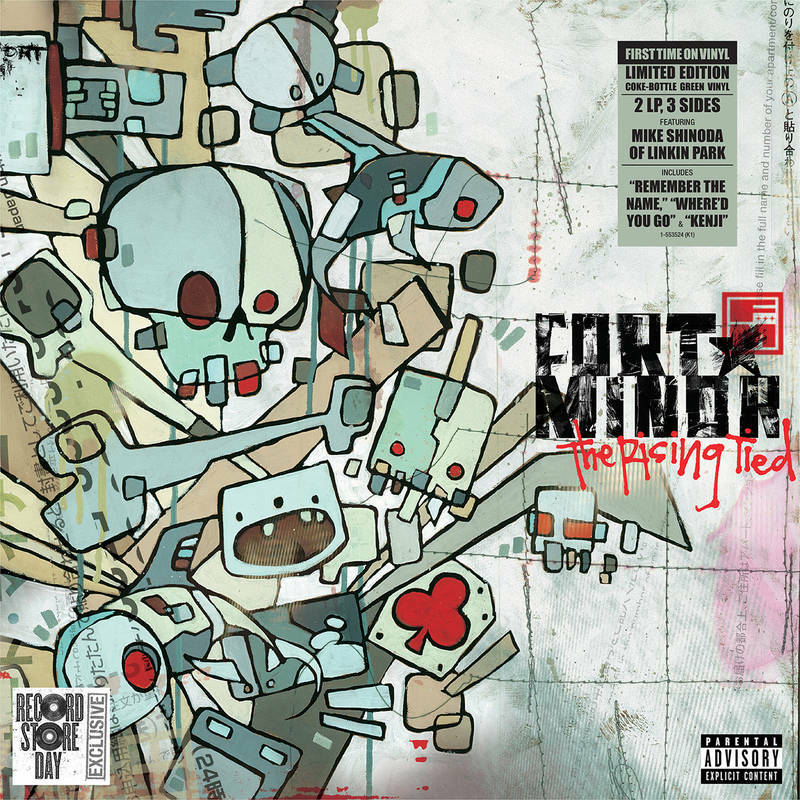 The Rising Tied is the 2005 debut studio album from hip-hop ensemble Fort Minor, Linkin Park rapper Mike Shinoda’s side project. This is the first-ever vinyl edition exclusively pressed on Coke-bottle green vinyl for RSD. Released for the first time on vinyl, this Record Store Day two LP set is numbered and pressed on transluscent red with black splatter vinyl and includes a DVD. Limited to 3,000 copies. Released for the first time on vinyl, this Record Store Day edition of this two LP (three sided) set is pressed on Coke-bottle green vinyl and is limited to 3,000 copies. Fort Minor Wall Goal #2 achieved! Check out the video below and help us out with our next goal of 250! Fourth collector in our interview month is our new friend and also new contributor Lou Ciccone from New York, USA. Here's a quite different perspective on collecting! Enjoy the interview as much as we did and check out the collection photos. They are awesome! 1. First question is the most common question in LP fanbase: the beginning. 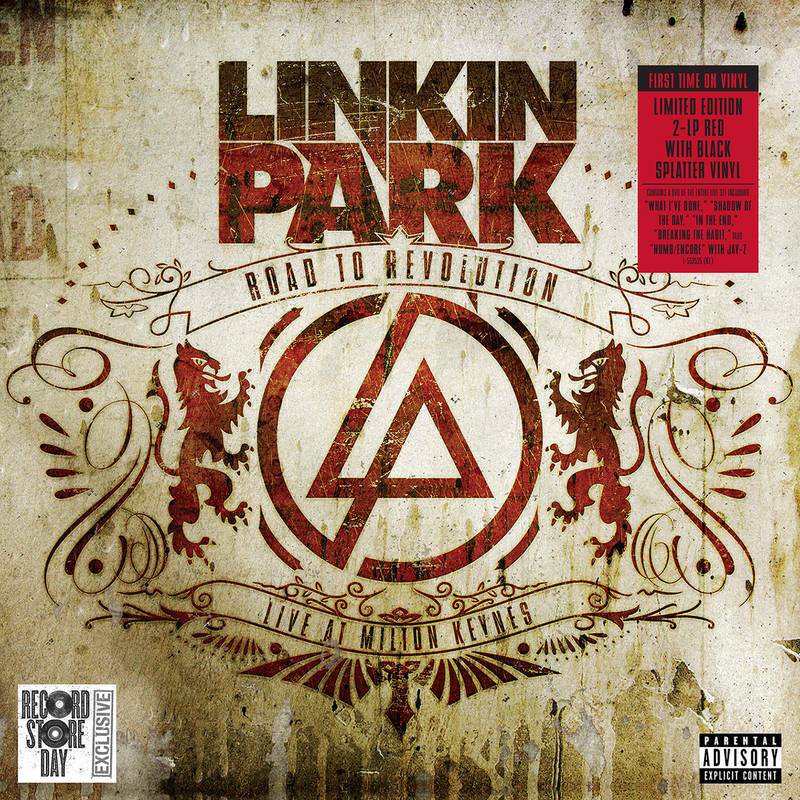 What or who got You into Linkin Park? Was it a video you saw or a friend who gave You a copy of LP's Hybrid Theory? 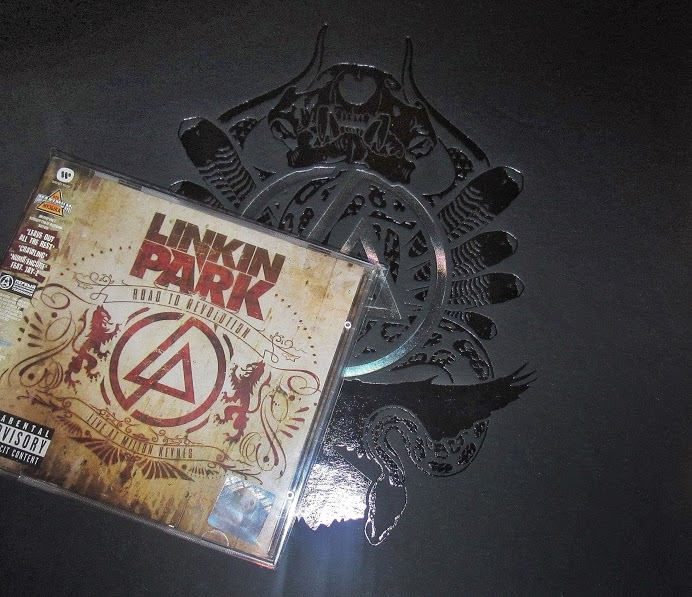 That brings the 1A question: What was the first item related to LP you've purchased? I first heard One Step Closer on the radio in 2000. I then saw LP open up for POD in NYC at the Kings of the Game tour headlined by POD. I knew then and there that LP were special. The way they played live and the songs they had fit into my life at the time. And I loved how they mixed rap with metal and a DJ. I then got a burnt CD copy of Hybrid Theory, which I believe I still have to this day, and only owned an original until a few years ago. The first item I ever purchased with LP on it must have been a t-shirt in the early 2000's. 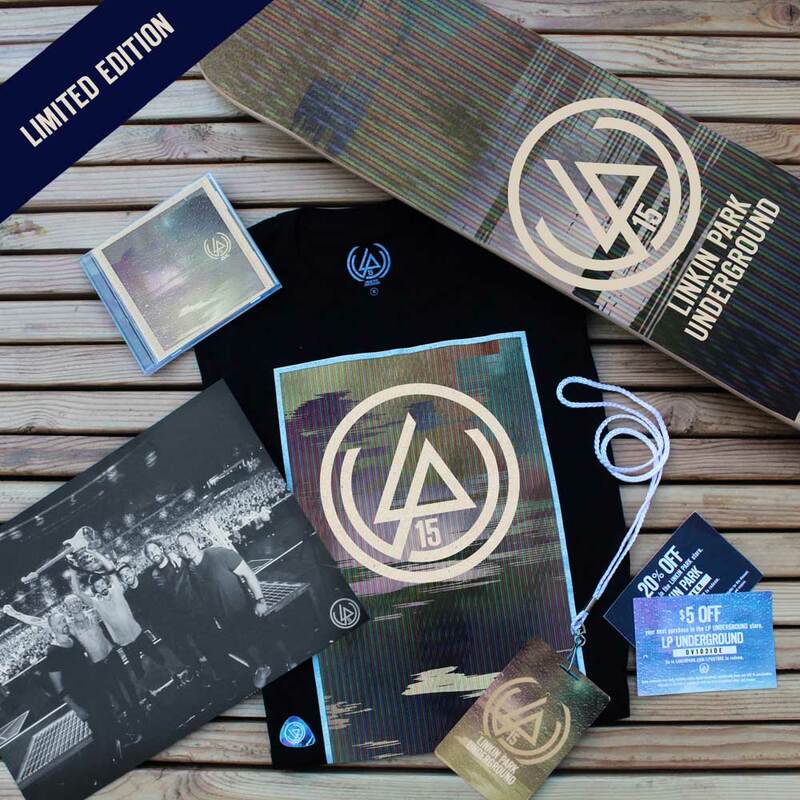 The LPU15 Bundle this year is $40 - Yes! we lowered the price and still made it special! 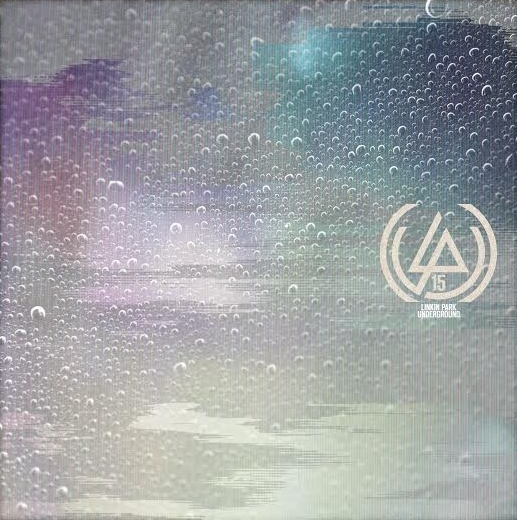 Not only is there a new LPU CD with 6 brand new unreleased demos, but an additional 6 exclusive tracks to be released bi-monthly to LPU members only. These will be available as a digital download and we will notify fans when each becomes available. 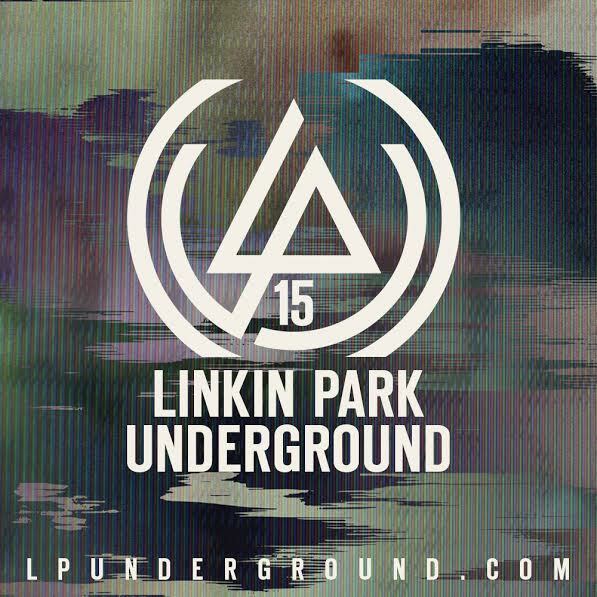 For the first time ever LPU members can now stream the entire LPU Music catalog for free! We have built a brand new page called LPU NOW, here anyone can find out what's going on in the LPU right now. It's also an easy reference for members to find out all exciting things going on! 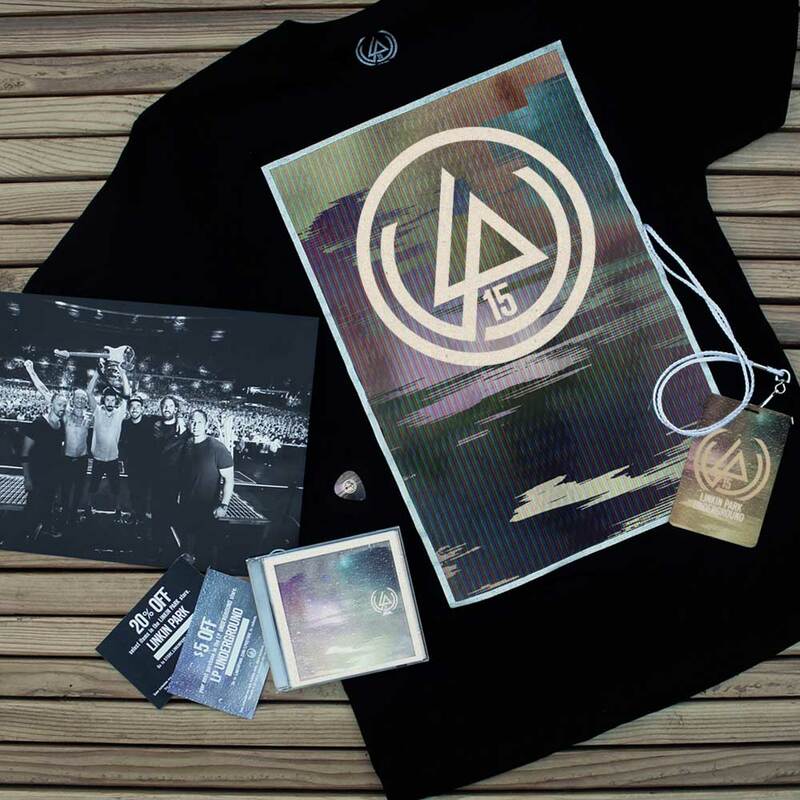 We want as many fans as possible to experience LPU. So we set up an easy way to get a FREE 30 DAY TRIAL, just head to LPUnderground.com for details! A brand new LinkinPark.com for all to experience. This is where the LPU community lives. Please note, we will no longer be using VyRT for future band chats. Stay tuned for more info on that. TinyChat is staying as a way for members to chat with each other. - Band + Crew Chats and more, see details below! 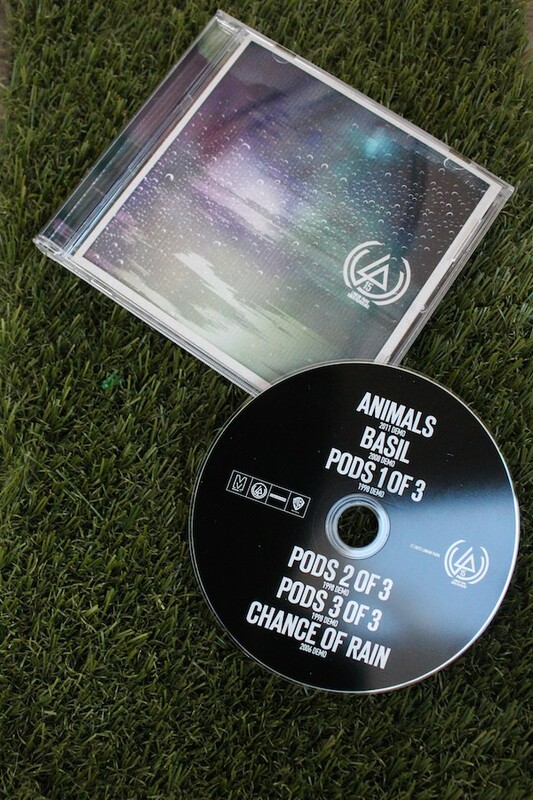 The first six music tracks for the year are only available as a Digital Download or on CD with the LPU 15 Bundle or Merchandise Package. The next six tracks will be available to you as free downloads every other month and will complete this collection. *Skate Deck only, not a complete skateboard. Please note that this limited edition bundle won't ship until January 2016. Third collector in our interview month is our friend and long-time contributor Yuri known by his nickname Nemesis from Moscow, Russia. Actually, before LP I wasn’t interested in music at all, I didn’t care at all, although my classmates shared LP’s songs in mp3 via bluetooth. First time I saw one of their music videos at MTV (I can’t remember, which one – was it Numb or What I’ve Done). Since that moment I’ve created a folder on my PC, in which I began to download the songs I liked. First it was about 20 songs, and 12-14 of them was LP’s songs. Later my mom bought a pirated CD “mp3 collection” (which even had LPU 2.5 and Grey Daze songs as bonus tracks). 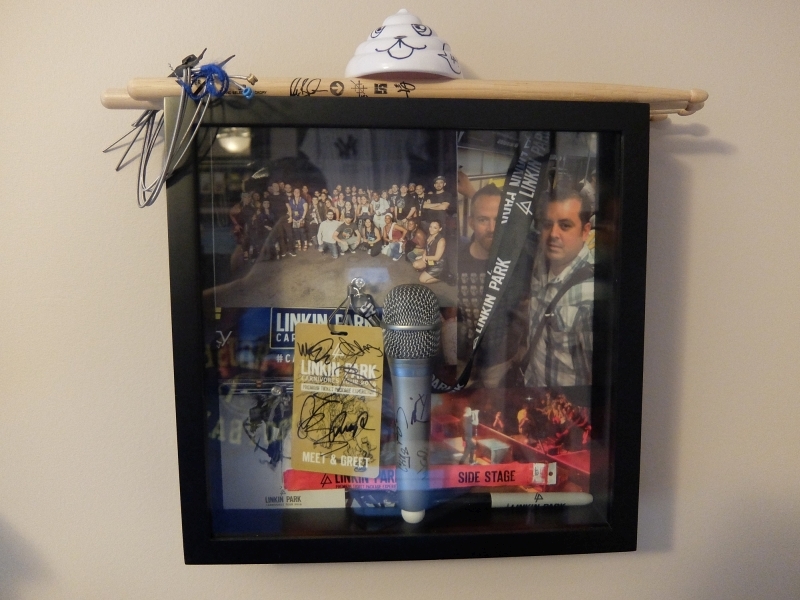 During the next couple of years I met a lot of fans, and one of them was a collector. When I saw his collection, I began to want to have at least 1 LP item. At that moment I didn’t thought that later all the shelves in my room (and partially in other rooms) will be full of different versions of albums and singles. Actually, the first item I bought is A Thousand Suns Deluxe Edition, which I ordered with the help of that friend, whose collection inspired me. But while it wasn’t shipped yet, I went to the store and saw (and bought) Russian issue of Road To Revolution, so it also could be named as my first item. Later I started to visit local music stores and to buy Russian CDs, and that friend helped me to order those CDs that wasn’t released in Russia. In 2011 I attended Linkin Park concert, which was the first concert in my life. That was the Transformers premiere show at the Red Square. I think, that this was the moment that changed my life. Since then I found dozens of friends and hundreds of LP fans with whom I am familiar from all over the world. My current hobbies emerged through LP’s music. For example, I began to draw when I tried to copy the artwork from Breaking The Habit DVD.